Feel the power of the Totem with this professional high tech design upright display structure that is simple to set up, built rock solid and requires no additional support. 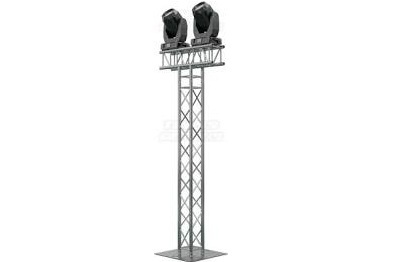 Place lights inside or outside the truss framework depending on your needs. Use in conjunction with Truss Wraps to create an eye catching, dramatic lighting display that will leave your crowd in awe! Totems can also be used for mounting video screens used in sports bars and more. Totems are ideal for clubs, bars, hotels, weddings/formal events and restaurants.